Let's face the reality of today’s market. Online shopping has been and will continue to grow. According to eMarketer, "retail ecommerce sales will increase to $4.058 trillion in 2020, making up 14.6% of total retail spending that year." There's no way around it. If your company isn't already selling online, you may be losing out on countless sale opportunities or business leads. Luckily, Google's here to help! 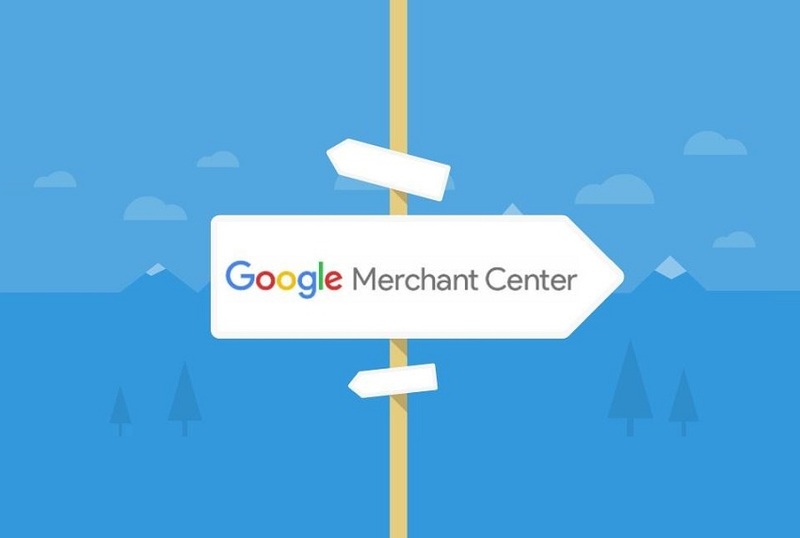 The Google Merchant Center is an online dashboard that allows your business to manage its products by giving you the ability to upload and manage product information. This information can include pictures, pricing, product type and category, availability, and links to your company's actual website. You also have the option to link with your Google AdWords account. Once that's accomplished, you can create shopping campaigns and Product Listing Ads (PLAs) based off your budget and sales goals. Getting started with Google Shopping can be tricky without knowing the right tools. Let's go over 10 of the top industry proven tips that are sure to boost your online sales! The landscape for all your Google Shopping campaigns is most evident on your data feed. As defined by Shopify, "Your data feed is simply information about the products that you want to sell formatted in a way that Google can read and understand." This includes product information such as data values, ID numbers, title, descriptions, etc. Google crawls through your data feed and determines if certain values match with what a user is searching for on their web browser. Sounds familiar, right? Think SEO, but for Google Shopping. Optimizing your feed with concise descriptions and specific product differentiations will allow your products to be found by the right consumers. According to Google, "If you assign values to your conversions, you'll be able to see the total value driven by your advertising across different conversions, rather than simply the number of conversions that have happened. And you'll be able to identify and focus on high-value conversions." Identifying certain keywords and ad groups that may or may not be working better than others will allow you to put a level of importance to certain aspects of your shopping campaign, giving you the information and ability to manually change bids or budgets to your liking. Wait, what's a "Negative Keyword"? A Google AdWords function, negative keywords are keywords that tell Google not to show your advertisement to anyone searching for them. For example, if you type in "sale" as a negative keyword, you're basically telling Google to keep your advertisement hidden from anyone searching for the word, "sale." Simple, right? Use these to your advantage. You don't want your campaign suffering from unrelated clicks because you didn't specify enough what your product isn't. Have these in your back pocket and watch as you efficiently budget your advertisements. Think like a consumer. Would you rather read a customer review that described a terrible experience or one that mentions a product's key features and favorable attributes (hopefully you choose the latter). Having a strong product rating will increase your CTR, but how do you get a consistent flow of ratings for your products? The best way is to invest in a third-party review-publishing site. Trustpilot, Yotpo, Verified-Reviews can all assist your brand with getting that high seller rating crucial to your product's success. One of the best ways to separate your product from the competition is to strategize your image selection. According to BigCommerce, "Ensure that each product has a relevant, targeted image. Use photos that differentiate your product from others listed in Google Shopping ads, helping your ad stand out among the competition." Instead of using a white background, how about trying to photograph your product in it's natural setting or in an outside colorful open environment. Make sure to add some pop with your images and grab the attention right from your target consumers. Your product's title description is what most of your targeted consumers will see, and a critical first impression moment for your brand. According to SEMrush, "Your product titles are arguably the most important factors in determining the keywords your PLAs show for. Getting this right is critical for your long term impressions and clicks. Admittedly, your title is NOT the most important factor for driving clicks (except that your ads won’t show for quality keywords without a good title). Various ideas run through your mind when you're working on your bid strategies. "Price", "Profit", "Cost", "Revenue" (just to name a few) are some of the convincing factors which make you question what your campaign is set to achieve. One of the biggest ideas to remember is to treat each product individually. Observing the returns certain products are bringing, how much they retail for, and what category they're in, are all stats that shouldn't be ignored. Check out this guide from Google, to go in depth about what options your business has. Best put by Google, "Remarketing allows you to show ads to your past site visitors and customize those ads based on the section of your site people visited. With dynamic display ads for retail, you can take this a step further and display dynamic remarketing ads with specific product information that is tailored to your customer’s previous site activity." If a customer has taken time out of their day to click on your product ad, chances are they’re interested in what you have to sell. Not only does remarketing give your product more chances to be bought, but it also keeps it fresh within the mind of your potential consumers. Special offers are a great way to separate yourself and to efficiently promote your brand. If all of this seems a bit overwhelming, especially if you have a substantial amount of products in your inventory, get some help from an established and experienced agency to gain the success metrics your brand needs! If there’s one thing to learn from this, it’s that Google Merchant Center offers a lot of opportunities for your brand to achieve great results. If you haven’t already, make some shopping campaigns and reap the benefits this great ad service has to offer! Jacob is a creative content writer for the Digital marketing agency, Aumcore. He loves writing articles and learning about new and interesting advancements that are happening in the world of online developments and technological growth.